Iran Barkley autographed 8x10 photo. All autographs are 100% guaranteed and come with a certificate of authenticity from www.RKSportsPromotions.com. 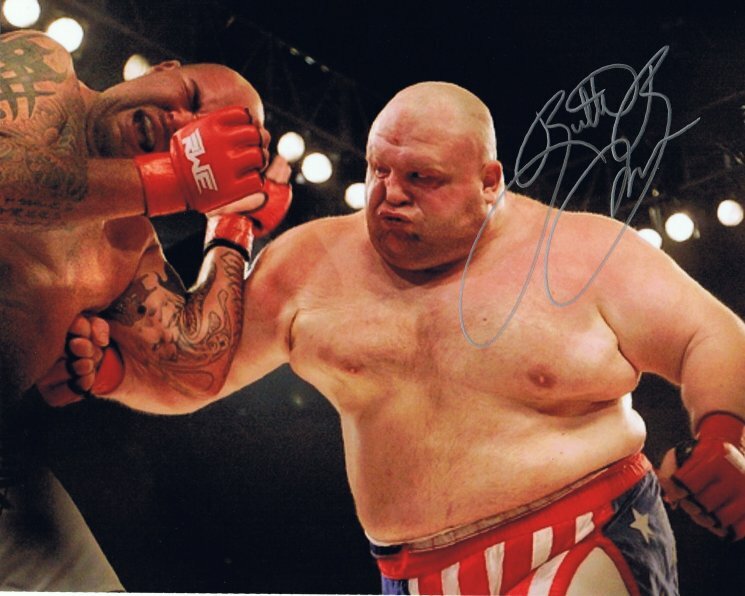 Butterbean (Wrestling - MMA - Boxing) autographed 8x10 photo. All autographs are 100% guaranteed and come with a certificate of authenticity from www.RKSportsPromotions.com. Ray 'Boom Boom' Mancini autographed 8x10 photo. All autographs are 100% guaranteed and come with a certificate of authenticity from www.rksportspromotions.com.